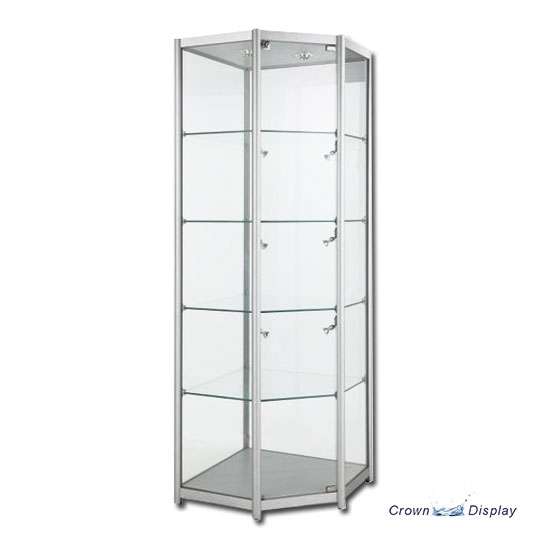 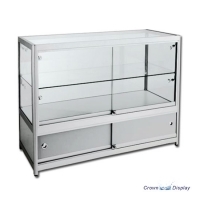 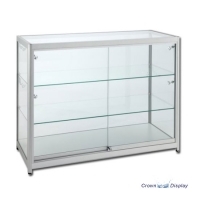 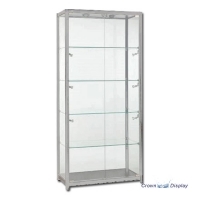 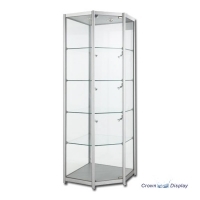 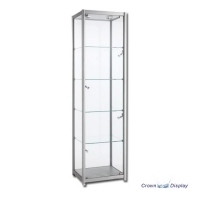 Designed to elegantly showcase valuable merchandise, this aluminium and glass tower display case permits complete 360 degree visibility for eye catching displays without compromising security. 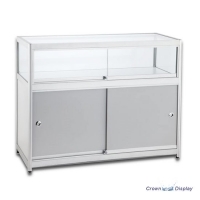 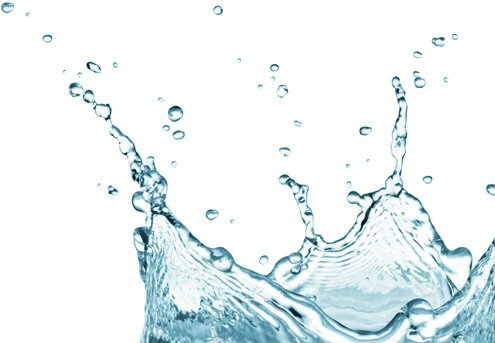 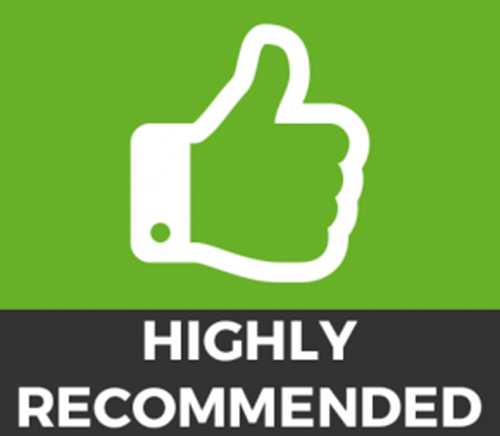 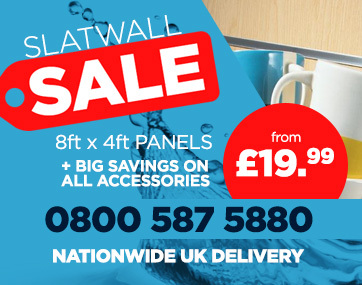 The glass componants are manufactured using toughened safety glass whilst the frame is strong, durable aluminium. 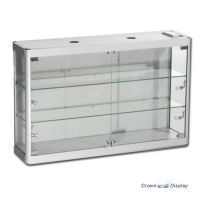 6mm safety glass top and sides.